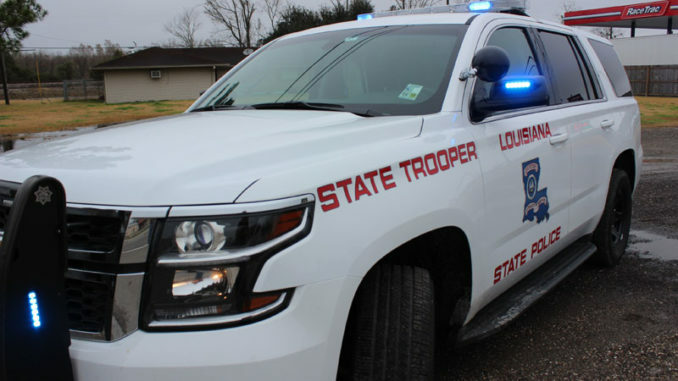 If a blue flashing light appears in the rear view mirror while you’re speeding on Monday, it’s likely because the Louisiana State Police’s LACE ticket program has been reinstated. LACE or Local Agency Compensated Enforcement returns with program changes aimed at avoiding the issues that resulted in the program being suspended Nov. 8 when four state troopers were accused of claiming extra-duty pay for time they didn’t work, as well as pay for regular duty. Some of this time reportedly was worked in St. Charles Parish. Nearly three months after the suspension, LACE is back with adjustments for accountability, including a 48-hour cap on overtime worked in a pay period, work allowed in four-hour blocks at a time along with having to file paperwork at the end of each shift. Also, a trooper must confirm the parish where the LACE shift is worked and finish it in the same parish, as well as return home on their time. State Police Superintendent Kevin Reeves said four state troopers are under criminal investigation related to alleged program abuses. In the near six years that his office has used LACE, he said it was successful. With the suspension, Chaisson estimated tickets issued in the parish dropped by about 1,400 per month. He added it was a drop that represented unsafe roadways. State Police spokeswoman Melissa Matey said their numbers showed a similar drastic change with an estimated 1,489 traffic citations, including LACE tickets, issued in the parish from Oct. 8 through Nov. 7. After LACE was suspended, the number plummeted to 66. State district attorney’s offices for years have had a contract with State Police to provide additional patrols on state highways. For St. Charles Parish, they were typically I-310, U.S. Highway 90, I-10 and Airline Highway. Chaisson emphasized State Police, not his office, decides LACE areas and there is no quota on tickets. Under the program, DA offices hire the troopers to patrol and write tickets on the highways. The parish keeps the ticket money and reimburses troopers for overtime and mileage. “The mere presence of these additional troopers on these highways will achieve the desired results, which is to get people to obey the traffic safety laws,” Chaisson said. Are these the guys that try and try and hide their cars and play “gotcha” with drivers? If so, they just create problems and dangers for everyone. ‘Hide there cars’ how are they g9nna hide them? They gonna sit in the bushes like roscoe from dukes of hazzard or are they gonna be in unmarked cars and everyone’s gonna be stupid and cry like little babies because they was on their phone or not paying attention? Unmarked cars are perfectly legal, they dont have to say police or sheriff to be able t9 tell there copcars, look at the wheels, kind of car or look and see if theres long antennas or spot lights on the car. Unmarked is the same as marked just not an eye catcher. Hell there isn’t a marked car in my town police department, there all black unmarked or blue. Have any studies been done during the 3 months that the LACE program has been suspended to see if there has been an increase in traffic accidents related to speeding in st. Charles parish,due to not writing as many traffic citations? I know that speeding is breaking the law but is it really necessary to write 1,449 traffic citations? Is this REALLY helping to prevent accidents or fatalities related to traffic accidents or is this once again an attempt by St. Charles parish to make more money for the parish by writing a ridiculous amount of tickets? The money grab is back. This has little to do with safety and everything to do with grabbing money from the public. The parish is losing @ $200K per month. Of course the DA is going to say this is about safety. Total BS. I think it’s wrong ….for state troops to sit on the side of the highway just looking to write violation on on people..and they not just write speeding tickets..they looking for anything to write a ticket for that day..